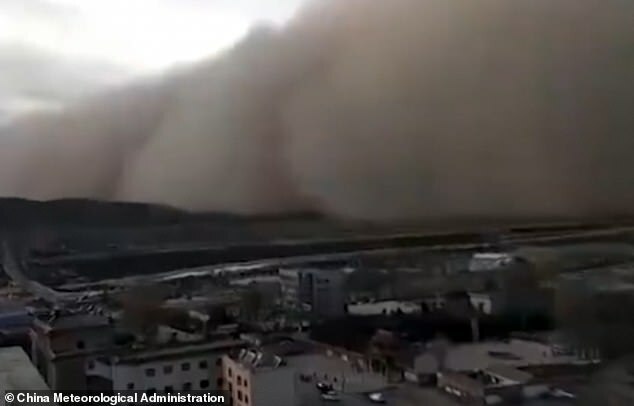 A north-west Chinese city was engulfed by a massive sandstorm that sparked rural fires, forced traffic to slow down and prompted residents to cover their faces, according to state media. 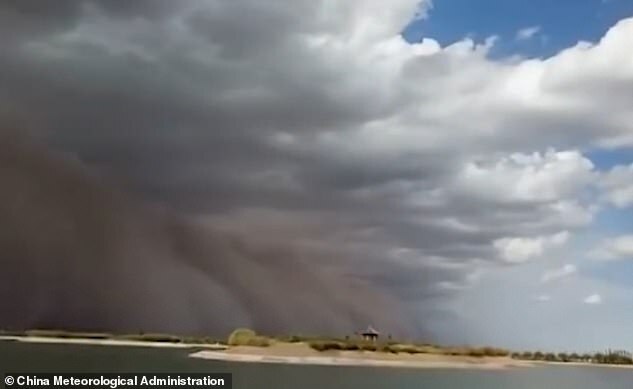 Video from the China Meteorological Administration shows a grey wall of sand hitting Zhangye city in Gansu province on Sunday, casting a yellow fog across the city within minutes. Images from official news agency Xinhua showed residents covering their faces in scarves as they went about their daily lives. 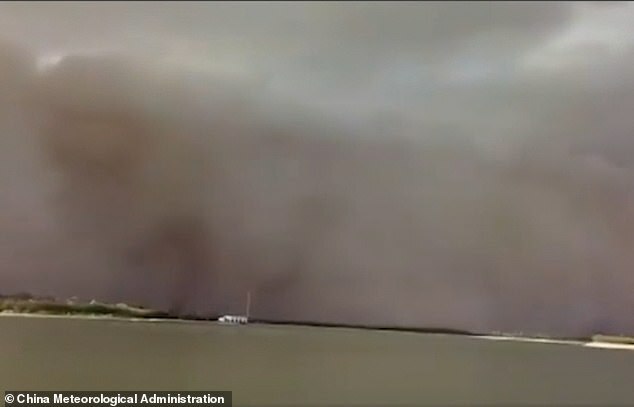 The massive wall of sand was nearly 100 metres (328 feet) tall, according to the administration in a Weibo post. Visibility went below 100 metres (328 feet) in parts of the city and police were deployed to ensure safety along the expressways, CCTV said. Vehicles were made to slow down and police in high visibility vests were seen directing traffic. 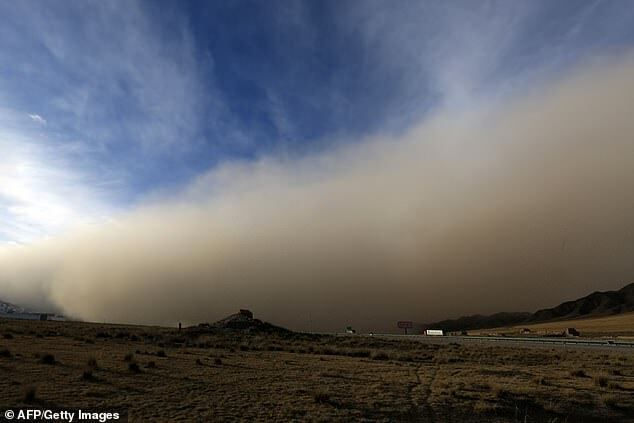 Winds also sparked fires in rural areas when heating kindle was blown onto haystacks. 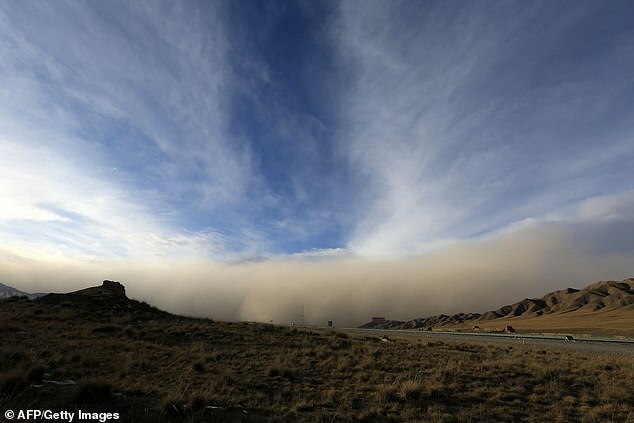 By 7pm, air quality in the cities of Jiayuguan, Jiuquan, Zhangye, Jinchang and Wuwei was ‘severely polluted’, reports said, with warnings going beyond ‘hazardous’ – the maximum level. Authorities in the city also put out an advisory warning of dry weather and a risk of fire, telling residents to ‘take precautions’. 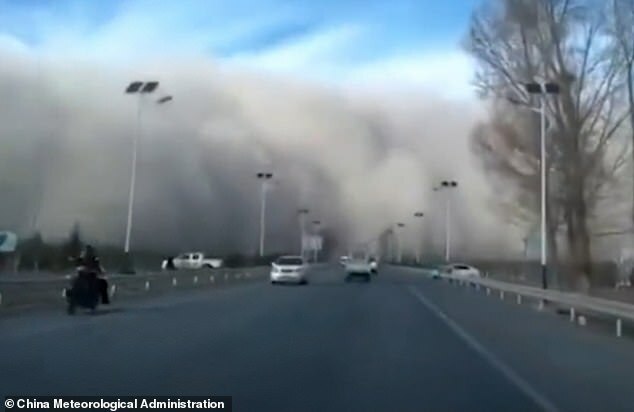 Such storms regularly occur in the dry season, when winds blow loose, dry soil and sand into urban areas from the Gobi desert, coating cities in a layer of yellow grime. 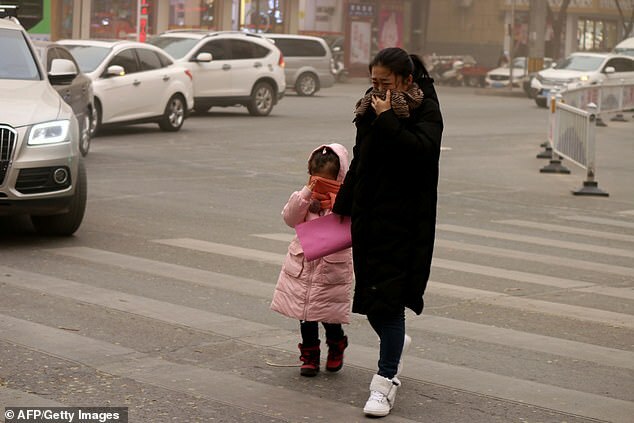 While the north-west faced a sandstorm, Beijing was on Monday shrouded in a thick smog that prompted many to wear protective face masks. 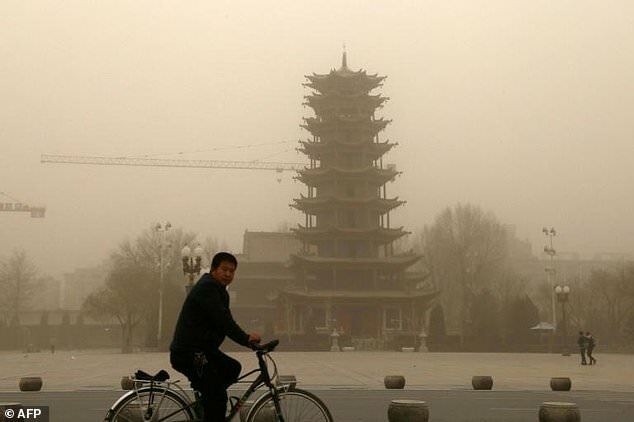 Levels of small particulate matter, known as PM 2.5, hovered around 360 in the afternoon, according to air quality monitoring website aqicn.org, or nearly 15 times the World Health Organization’s recommended daily maximum exposure. 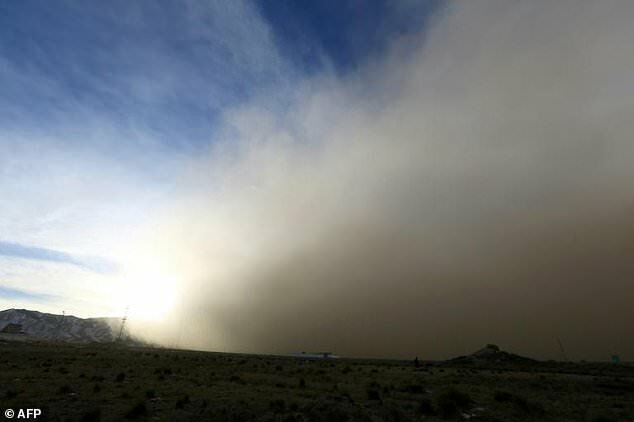 According to Xinhua, a sandstorm is also forecast to be hitting Beijing from the northwest.